강력한 밀착력이 특징인 테이핑 컨실러는 이름에서부터 제품 속성을 강조하여 컨셉을 효과적으로 노출한 페이스 메이크업 트렌드를 이끌 에스쁘아의 신제품입니다. 형태적 시그니처로 자리잡은 스퀘어 타입의 용기디자인은 에스쁘아만의 프로페셔널한 브랜드의 상징적인 이미지를 보여주면서 동시에 기존 디자인보다도 요소를 최대한 덜어내면서 한층 더 엣지있고 미니멀해진 디자인으로 완성되었습니다. 또 투명한 용기와 내용물 컬러에 맞춘 장식효과를 더해줌으로써 직관적인 컬러구분이 가능하게 하고, 제품의 사용성과 실용성까지 고안된 가치있는 자사몰드로 개발되었습니다.그래픽 요소로는 테이프를 연상하게 하는 타이포 타입을 적용하여 심볼릭하면서도 간결하게 표현하여 컨셉을 강조해 주었습니다. 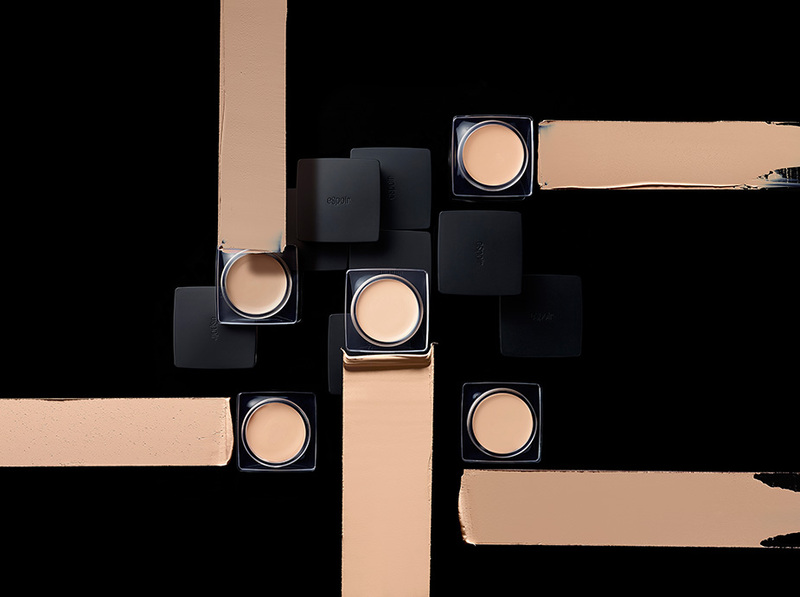 Taping concealer featuring strong adherence is eSpoir’s new product that leads the trend of face makeup, which reveals the concept effectively by emphasizing the property of the product with its name from the start. The square-type design of the container, which has become a formative signature, depicts eSpoir as a professional brand symbolically. It is edgier and more minimalistic while maximally revealing elements compared to the existing design. In addition, the clear container and added decorative effect provide intuitive color differentiation, and the company’s mold is developed to improve the usage and practicality of the product. As a graphic element, a typographical type that resembles tape is used to emphasize the concept symbolically and simply.